Many people work hard to maintain good credit and a healthy financial profile. The credit report is like a report card for your finances and it, combined with your credit score, controls almost everything that you do financially. It can determine whether you can secure a mortgage, buy a car, or get a credit account. Many employers use credit reports when making hiring decisions and landlords use them to evaluate rental applicants. These reports are used to determine an applicant’s contentiousness and trustworthiness. While it’s certainly possible to have negative items removed, especially if you’ve been a victim of identity theft, you might not be successful with each and every one. Luckily, most negative items have a time limit as to how long they can remain listed. Even if negative information is listed, it causes less damage to your credit score the more time passes. If you have negative marks on your credit report, it’s smart to know exactly how long those items will remain and affect your credit score. We’ve got the answers below. Late payments on credit cards and other accounts can really hurt your credit score. If you have open accounts and make payments more than 30 days late, you will damage your score. Payment history makes up 35% of your score, and if you have a history of paying late, your score will only get worse over time. The longer you wait to pay, the more damage will be done. That’s because delinquent payments are reported in 30-day increments so your score will suffer more every month you delay paying. Exactly how long will it stay there? 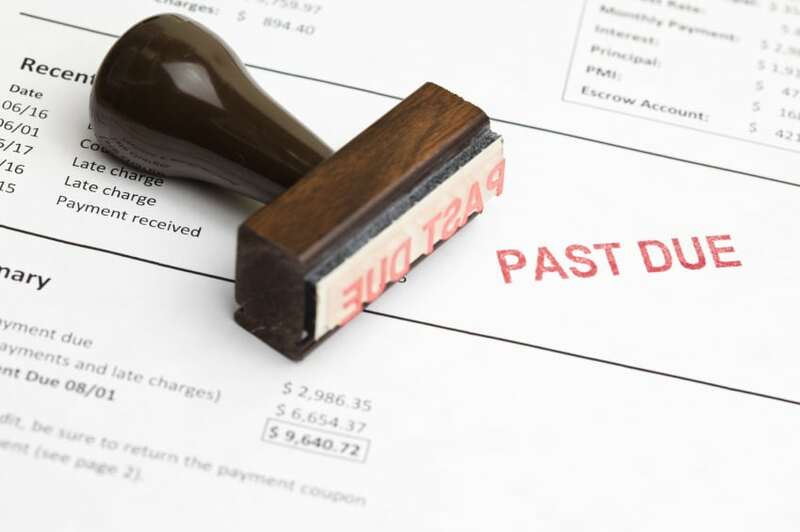 Late payments remain on your credit report for up to seven years from the bill’s original due date. If you have made delinquent payments in the past but have paid off the accounts, contact the credit reporting agency and ask them to remove the record. Otherwise, try to get your accounts up to date before they are sent to collections. Getting sent to collections opens up an entirely new can of worms in terms of how your credit report and score are affected. If your lender or creditor has been unable to collect from you using traditional means, such as phone calls and letters, they may turn your account over to a collection agency. This is also devastating to your credit score, and you should avoid this at all costs. Collection accounts can drop your score by a huge amount, making it more difficult for you to get the best rates on a car loan, mortgage, or credit card. Accounts that are sent to a collection agency typically remain on your credit report for up to seven years from the date they were first reported. This date usually corresponds with the date they were opened with the collection agency, not the date of the original bill. The best way to improve your credit score, not to mention prevent further damage, is to pay off any collection accounts. 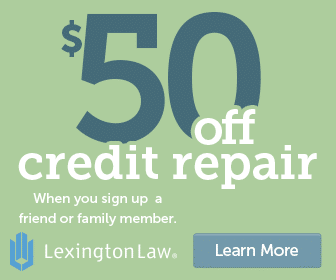 You might consider negotiating a settlement in exchange for having the negative mark removed from your credit report. Just get any agreements you make in writing so that you can ensure the collection agency follows through. If repeated attempts to collect from you through collection agencies fail, some companies may sue you for the total owed, creating a public record on your credit report. If you lose your case, you will be issued a judgment ordering you to pay the money owed. It’s no surprise that public records such as court judgments severely hurt your score. Judgments often stay for up to seven years from the date the judgment was filed. This means that if your case was filed and it takes four years to work its way to a conclusion, the judgment will stay for three years. This rule applies whether the judgment is paid or not, so like many other negative information, it’s a waiting game unless you take credit repair into your own hands and attempt to get it removed. One exception to this rule is in New York State, where satisfied judgments remain for five years from the date it was filed. However, this rule applies to current New York State residents only. Tax liens are treated a little bit differently. They remain on your credit report seven years from the date that they are paid. Unpaid tax liens remain on your report until they are paid so it’s important to pay them as quickly as possible. You typically can’t negotiate a settlement so be prepared to pay off the full amount. Unpaid liens are also a big deal because they become attached to any piece of major property you own, such as your house, car, or boat. When you go to sell that personal property, the government gets the first cut to satisfy the amount owed on the tax lien. Your lender then gets paid back any existing amount owed, and you only get money back if there’s any left from the sale. If tax liens remain unpaid for too long, you may also have your wages garnished or property seized to take care of the debt. If all else fails and you are unable to pay your debts, you can petition the court for bankruptcy protection. This is a drastic step and is one that has a dramatic impact on your credit score. Chapter 7 bankruptcy liquidates all of your debts, making you essentially debt-free. Many people see their scores drop by over 100 points in a bankruptcy, while others find their scores jump significantly. To qualify, however, you’ll need to meet a specific income test. Chapter 7 bankruptcy stays on your credit report for 10 years from the date of filing. It stays on longer than other negative items since you don’t pay much (or any) of the amount you owed. Another option is Chapter 13 bankruptcy, which stays on your credit report for seven years from the date of filing. This type doesn’t have an income cap on it, so most people qualify. You’ll be put on a monthly payment plan that goes to your creditors. Some debts need to be repaid 100%, such as tax liens, back alimony or child support, and your mortgage if you want to stay in your home. Unsecured debts will only be paid off partially depending on how much discretionary income you have and how long your repayment plan lasts (typically three to five years). Whenever someone makes a request for your credit report, it creates an “inquiry” on your account. These inquiries can come from a number of sources, including lenders deciding on your creditworthiness to employers checking your credit report. You may also get an inquiry when you rent a car, apply for a loan, or shop for a mortgage. Creditors pull your credit because they need to check your creditworthiness before doing business with you. A promotional inquiry, like the ones you receive for pre-screened offers of credit, normally remain for up to 12 months. Accessing your own credit report creates an inquiry that stays on your credit report for up to six months, but does not affect your score. New credit inquiries from lenders will be listed on your report for up to 24 months and can temporarily lower your score. Even though they’ll remain listed for two years, they only hurt your score for a year. While each inquiry only drops your credit score by a few points, they can add up if you have a lot on your report. Not only that, they may alert lenders to the fact that you need capital, which could indicate a lending risk. It’s best to keep related inquiries within a few weeks of each other because then they’ll be grouped together as one since you were likely comparing offers. Another way to reduce the impact of inquiries on your credit report when applying for credit is to request a pre-approval. You can get an idea of interest rates and credit terms from a soft pull on your credit report, which doesn’t affect your score at all. If you’re unsure of how a lender or credit card company uses your credit information, be sure to ask before moving forward with your application. Maintaining a clean credit report is vital to your financial health. There are many factors that affect your credit score. By knowing how long items are kept on your credit report, you will be able to better manage your credit score and make informed decisions on how to move forward financially. Whether you actively work to get negative items removed through credit repair or simply wait for them to fall off naturally, knowledge is always the most important tool when managing your money. Access a free copy of your credit report today to find out what’s damaging your credit score so you can get started fixing the problem. And, of course, when you are ready to get help fixing your credit, check out the top credit repair services.